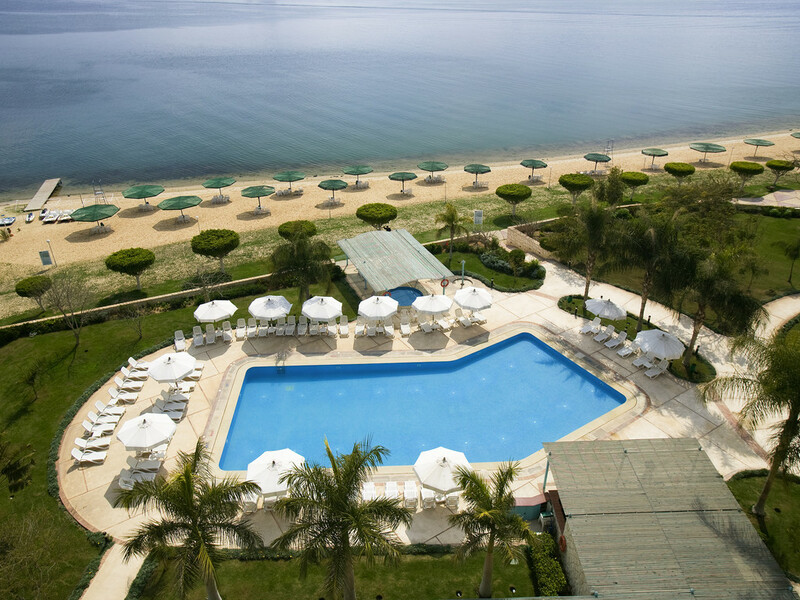 When you arrive at the Mercure Ismailia Forsan Island Hotel, the first sight to take your breath away is beautiful Temsah Lake. Then you'll see the verdant, palm-filled gardens, the spectacular outdoor swimming pool, the private beach, the clay tennis courts, and the delightful staff who will show you to your beautiful room with a private balcony offering stunning views over the lake and garden. It's a hotel designed for pleasure, whether you're on holiday or taking a break from business. Located 1.Km from Ismailia Down town and 120 Km from Cairo our staff will be pleased to recommend places to visit, such as Ismailia Museum.